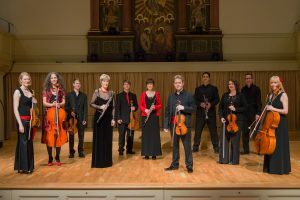 The Bristol Ensemble’s popular series of tea-time concerts at Christ Church, Nailsworth, continues with a chamber recital which includes works written by two female composers in the last year of their lives – Fanny Mendelssohn’s lyrical and dramatic Piano Trio and Lili Boulanger’s D’un Matin de Printemps, her impressionistic symphonic poem. The programme is completed by Johannes Brahms’ Third Piano Trio, a compact and muscular work. Tickets £10 on the door.